Tuxedo Festival salad joint will be Atlanta's second. Chopt Buckhead is set to grand open November 14, according to a press release Thursday. The fast-casual salad restaurant, at 3655 Roswell Road, is situated in the Tuxedo Festival shopping center. Chopt Buckhead will open with its "Chopt Gives Day" campaign Wednesday from 11:30 a.m. to 1:30 p.m. and 4:30 p.m. to 6:30 p.m. with all proceeds benefiting Giving Kitchen. Regular business hours commence on November 15. All customers who make a monetary donation to Giving Kitchen will receive a free salad. "We are honored to have been chosen as the nonprofit recipient of Chopt's second Atlanta-area grand opening," Bryan Schroeder, executive director of Giving Kitchen, said in the release. "Not only does the support of restaurants like Chopt help to fund grants that change the lives of restaurant workers, it helps spread the word so that more restaurant workers know that we are here to help them, their coworkers and their friends in the food service industry if they ever need us; and for that, we are grateful." $1 from each Atlanta salad sold between Nov. 14 - Dec. 16 will benefit Giving Kitchen. Chopt Buckhead is 2,900 square feet, including indoor and outdoor space. It features over 60 seats, including communal dining areas, booth seating, an outdoor patio area, and wallpaper created in partnership with Batabasta, a Spanish design duo. 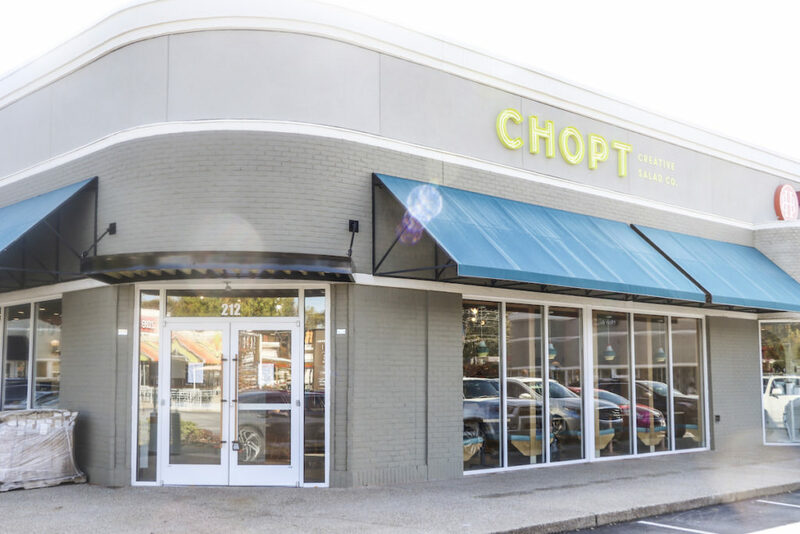 The store will be open Monday through Saturday, 10:30 a.m. to 9 p.m. and Sunday, 10:30 a.m. to 8:00 p.m.
Chopt first entered the Atlanta market with its Toco Hills location in early 2018. Chopt Buckhead restaurant is the brand’s second, and a third location at Ansley Mall in Atlanta’s Piedmont neighborhood was recently announced—details forthcoming. string(47) "3655 Roswell Road, Suite 212, Atlanta, GA 30342"